Food is every living being’s source of energy. It is extremely important to consume the right food in the right amount to keep our body, skin, and hair healthy. Although today it has just become about satisfying our taste buds, it was not meant to be, neither for us, nor for pets. Food like treats too have nutrients, however intake of the same kind of food may create an imbalance in your pet’s body. When you purchase commercial food for your pets it is essential to check the nutrient values stated behind the pack. If your pet’s current diet is rich in protein then make sure you add other nutrients via other food sources. Changing the pet’s diet frequently is not recommended, but it s recommended at a certain interval of time. Intake of the same diet for a longer period may create an imbalance in your pet’s body. Switching to minerals or vitamin rich diet after a protein rich diet may give appropriate amount of all nutrients to pets. Introducing new diet should be gradual. Make sure you do not treat your furry friends frequently as treats are the main source of fats and sugar. The balanced diet foods available in the market may be a better choice for your companions. These foods may keep them full on nutrition vales and maintain the quality of their skin, eyes, hair and overall health. 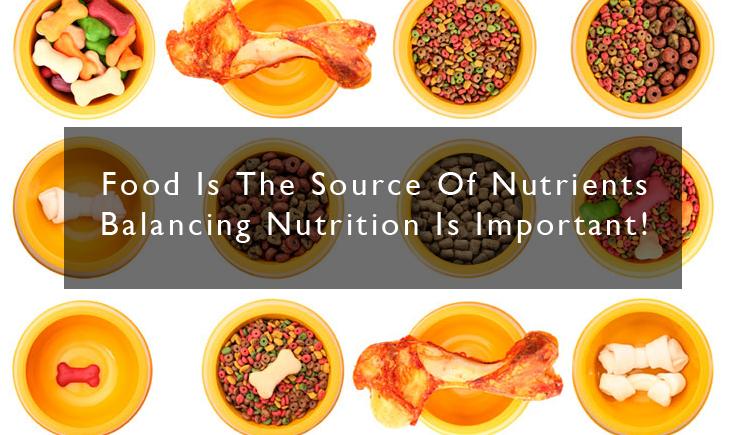 In all, it is recommended to check the nutrient’s value behind the food pack and getting advice from a pet nutritionist before you start any specific diet. Try to include all nutrients in your pet’s diet for optimal health and immunity.